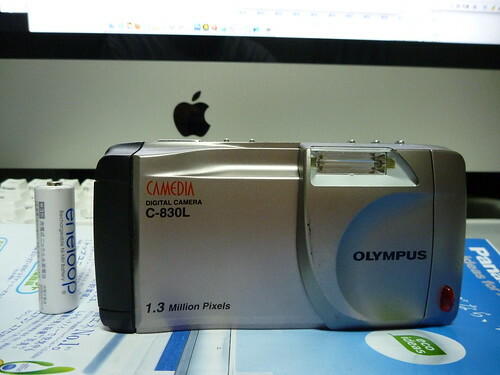 The Camedia C-830L is a early consumer digital camera from Olympus and introduced in 1998. In some markets it is known as the D-340R. It uses a 5.5mm f/2.8 lens and has a 1.3 megapixel 1/2.7 inch CCD sensor, which can produce 1280 x 960 resolution image in JPEG as well as TIFF. Images are captured onto SmartMedia cards. 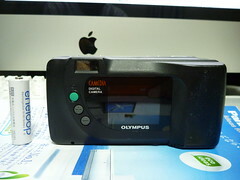 It uses an optical finder as wells as a 1.8" LCD. It is powered by common 4x AA batteries. This page was last edited on 10 November 2012, at 01:08.